Tom Blachford chronicled Palm Springs at midnight (previously). Now he's back with Nihon Noir, a Blade Runner inspired look at Tokyo at night, like this imposing shot of the Edo-Tokyo Museum. A huge honour to be featured on my favourite @wallpapermag online today for my Nihon Noir series shot in collaboration with @asahibeer_au. 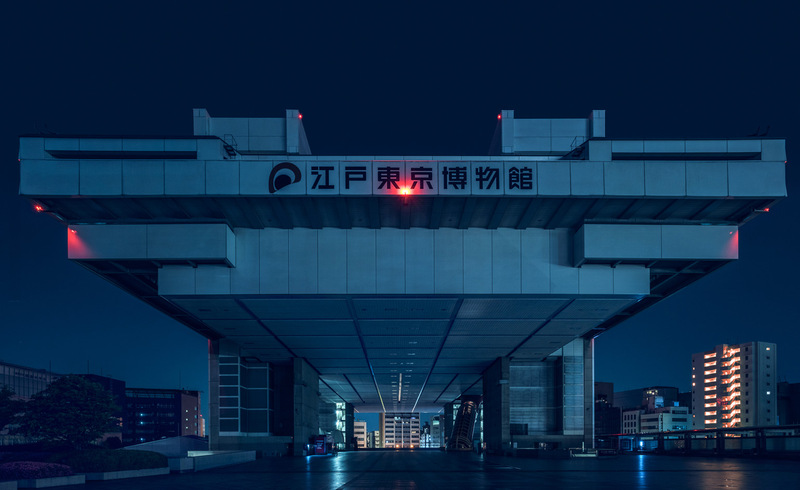 This image of TOKYO BIG SIGHT is one of my favourites from the series, the insane triangular form reminded me so much of Tyrell corp from blade runner I just knew I had to shoot it. Link in bio to the article and full series.